Australia were bowled out for 243 on Monday, setting India 287 to win the second Test in Perth and go two up in the series. After India conceded a 43-run lead on first innings, Mohammed Shami claimed a career-best 6-56 to restrict the target to fewer than 300. 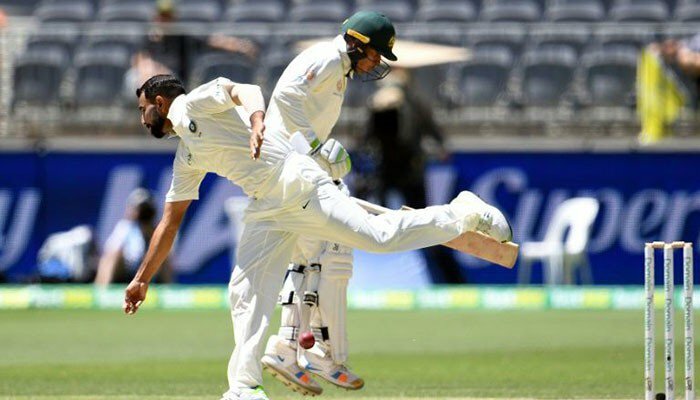 Variable bounce was a big factor as the Australians lost their last six wickets for 51 runs, despite a 36-run final-wicket stand between Mitchell Starc and Josh Hazlewood, reports AFP. Usman Khawaja top scored with 72. India lead the series 1-0 after winning the first Test in Adelaide.